How Much Does a Sports Medicine Physician Make per Year? Sports medicine physicians may focus on orthopedic surgery or primary care to treat athletes in the areas of nutrition, sports psychology, injury prevention. In the US, the average annual salary for a sports medicine physician is well over $199,000, similar to the US dollar equivalent salary in Australia of AU$267,000, or $202,446 USD. Annual earnings in New Zealand and Canada are similar at NZ$224,000 ($154,470 USD) and C$193,000 ($150,791 USD), respectively, followed by the UK at £102,000 ($121,282 USD) and South Africa at R1,171,000 ($85,522 USD). India falls on the lower end of the pay scale at Rs1,175,000 ($18,235 USD) per year. Determining earning potential for sports medicine physicians requires a review of salaries by geographic region, professional experience, and work setting, as further explained in this guide. Annual and hourly wages, as well as the US dollar conversion, are provided in the chart below. Earning potential for sports medicine physicians is influenced by geographic region, professional experience, and work setting. This guide dives further into salary and career information for sports medicine physicians. Sports medicine physicians in the US see annual earnings exceeding $199,000 per year plus an additional $7,700 in bonus income potential. Newly trained sports medicine physicians will see an average starting salary of just over $135,000 while senior level professionals earn more than $257,000 annually. In Canada, sports medicine physicians earn more than C$193,000 annually and bonus income incentives can boost overall earnings an additional $7,500. The average starting salary for entry level positions is about C$131,000 per year, increasing with experience and responsibility to more than C$249,000 annually. In the UK, sports medicine physicians receive well over £102,000 annually, plus another £4,000 in bonus pay. On average, entry level positions garner an annual salary of more than £69,000 compared to £132,000 for senior level pay. Sports medicine physicians in Australia receive an average base salary of about AU$267,000 per year, plus AU$10,000 or more in bonus income pay. Entry level sports medicine physicians earn more than AU$181,000 per year compared to AU$345,000 per year for their senior level colleagues. In New Zealand, sports medicine physicians receive more than NZ$224,000 per year with another NZ$8,700 possible through bonus pay incentives. New sports medicine physicians beginning their careers will see an average annual salary of about NZ$152,000 per year while senior level pay is more than $289,000 per year. The average annual salary for sports medicine physicians in India is about Rs1,175,000 with an additional Rs45,000, on average, receive through bonus pay. Entry level pay, on average, is well over Rs808,000 per year compared to Rs1,538,000 per year for senior level pay. In South Africa, sports medicine physicians receive R1,171,000 per year, on average, and bonus incentive pay can add more than R45,000 in additional earnings. The average entry level salary is about R800,000 per year, increasing with experience and responsibility to about R1,522,000 per year for senior level positions. 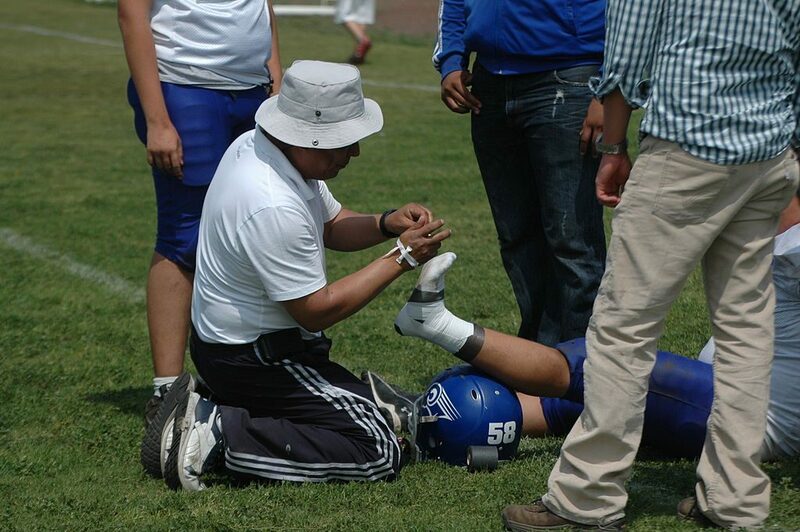 With experience comes higher pay for sports medicine physicians. Senior level pay, on average, is about 90% to 91% more per year compared to entry level pay. For example, in the US, senior level professionals earn about $122,000 more per year, or 90% more, compared to their entry level counterparts. While earnings are significantly lower in India, a 91% growth rate is seen, equating to a senior level salary that is about Rs730,000 more per year compared to entry level incomes. Sports medicine physicians work in physical therapy offices, college and professional sports teams, and private practice. Those who focus on orthopedics and perform surgery see the highest earning potential compared to primary care physicians who specialize in sports medicine. Employment within a for-profit, private sector organization often offers higher incomes and additional opportunities for bonus pay compared to their colleagues employed in nonprofit or public-sector organizations. Most sports medicine physicians work full-time hours from Monday through Friday during standard business hours; however, some may offer expanded office hours to accommodate patient availability. On-call hours may also be required for emergency patient treatment. Some sports medicine physicians work part-time schedules, but may not be eligible for the same level of benefits and bonus compensation. Sports medicine physicians most often receive a full benefits package that includes medical, dental, and vision coverage as well as paid time off for vacation, holidays, and sick time. Some employers also provide bonus incentive pay. A Medscape Compensation Report notes other benefits that may be offered include professional liability insurance, retirement plans, health savings accounts, and commuter allowances. The United States Bureau of Labor Statistics estimates the growth rate for physicians, including sports medicine physicians, to increase 15% between 2016 and 2026 due to greater access to healthcare and improvements in medical treatment and care. A career as a sports medicine physician requires a bachelor’s degree, often in a science-related field, and a medical degree followed by up to seven years in internship and training. A licensing exam is required and registration with a state or regional governing board. A sports medicine physician earns a high income that is commensurate with the level of education and training required for this career field. Benefits and bonus packages are comprehensive and can significantly add to overall earnings. Future growth and need for sports medicine physicians is expected to remain, offering good employment opportunities for future trained professionals.